Iblis - vanilla expirence to attributes and trainable skills. Iblis mod add a two separated attribute systems. 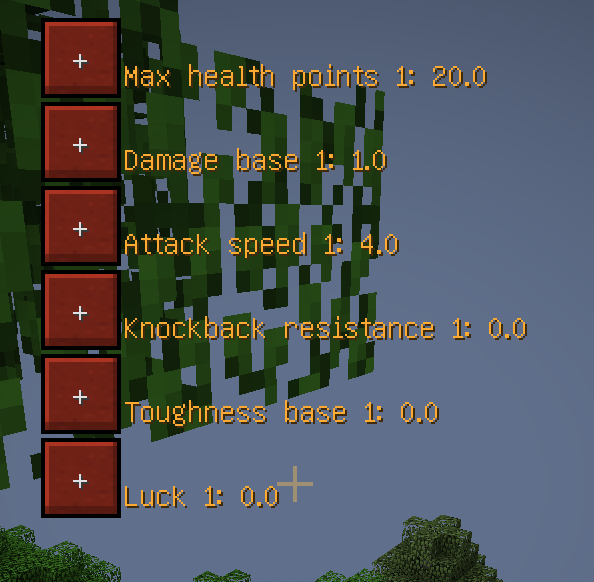 One set of attributes can be raised using vanilla Minecraft experience levels (which I will call "characteristics") and second set is trainable skills. Each level of characteristic require same amount of experience levels of player for raise as level value itself. For example, to raise "Max health points 2" -> "Max health points 3" you need a 2 experience levels. Each skill require special condition to be raised. Each point of skill raise parent skill at 1/2 of point and wisdom at 1/4 of point. Effective skill value is a sum of skill value itself + parent skill + wisdom. Wherefore experienced armourer is able to effectively use sword and vice-versa. Raised each successful attack with any tool, which grant bonus to attack damage. Amount of points depends from target armor value. Full skill value is added to attack damage. Raised each successful attack with bow. Affect accuracy of shotgun and critical strike chance of shotgun (if above 8). 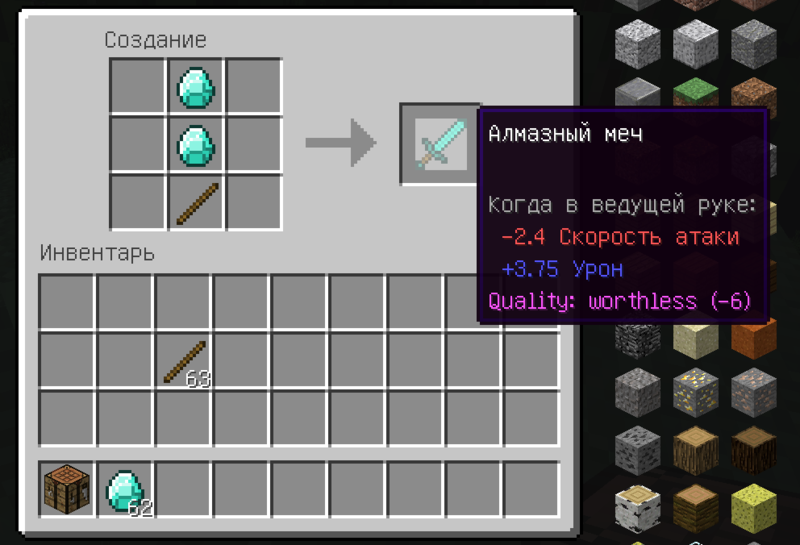 Raised each time item with armor bonus is crafted. Affect armor and armor toughness bonus of item. Works with mod items if mod load recipes before this mod. Raised each time item with damage bonus is crafted or bow crafted. Affect damage bonus of item and arrow damage bonus of bows. Works with mod items if mod load recipes before this mod. 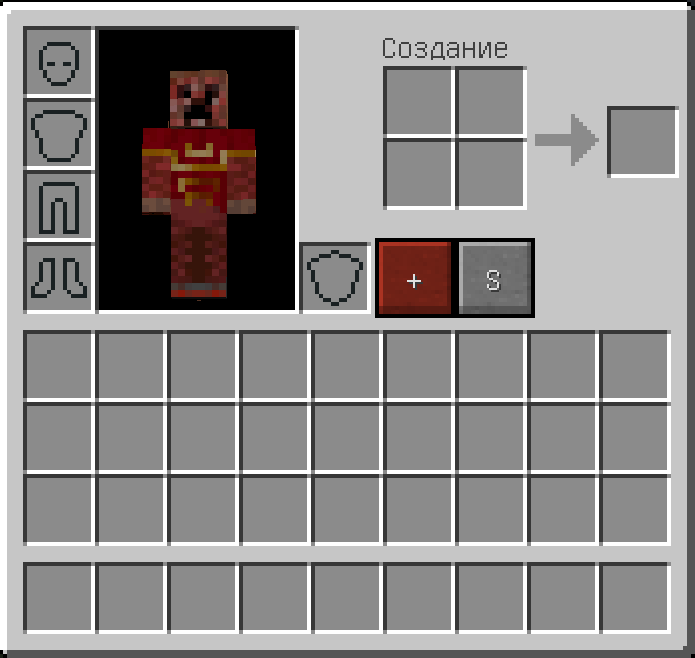 First one, labeled "C" turn red when there is characteristics, which could be upgraded and leads to characteristics GUI. 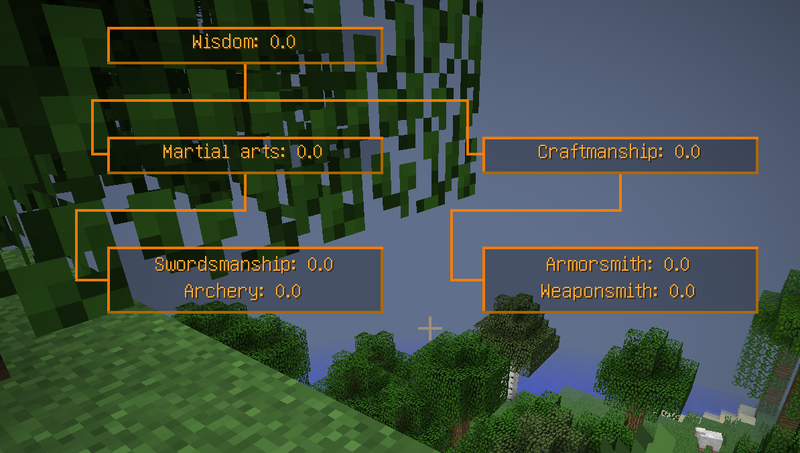 Second one, labeled "S" leads to skills GUI. Books: Guide and Adventurer diary. Adventurer diary is item, which could be used by players to exchange wisdom and to save skills beyond a point of death. Each time diary is crafted it store skills gained by player and with penalty of 30% player could restore his skills after death. Guide books is a source of knowledge obtained via loot chests in dungeons. Whenever player dies instead of dropping items it spawns zombie with player equipment. Killing this zombie release all experience levels (including whose whom was spent on characteristics) in XP orbs. Wow, someone actually download this mod. I have 1 download in count on Mediafire. In that case - here is a fresh version. Sure. I assume only sprinting speed? Suggestions are welcomed. Modpacks are welcomed too. Press "forward" and then click shortly "sprint" button. You will start running slightly faster (with vanilla sprint speed). After that you may press and hold "sprint" button and you will quickly speed up. If you need something else, don't hesitate to ask. Non zero chance, yes. But currently I'm trying to make Dungeon generator for Cubic Chunks more playable (including long term playability) and current main version of Cubic Chunks is for Minecraft Forge 1.11.2. I released a source code of a mod (link available from Curse page) and whoever is willing to do a job of rewriting Iblis mod to 1.7.10 are welcomed to do so. This is intended. Before you train your running skill, sprinting speed is lower at 7%. You may just disable running skill and you will run with vanilla speed. Do you really want a config option for starting running speed? cosmo3001, I spent some time by creating mod based on weahavecookies56 tutorial to check if there is a issue. And no, I find no difference. It flood a chat console with speed values calculated basing on player tick. You can check if there is a difference by yourself.